How do I install OverDrive on my mobile device? 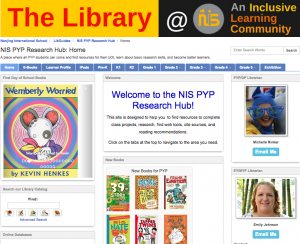 How do I add the NIS Library to OverDrive? How do I borrow a book on OverDrive? Step 1: Find your Veracross ID number located on your NIS ID card. It is located vertically next to the barcode. 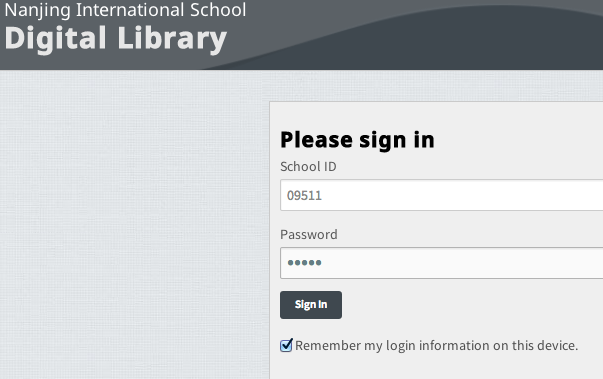 Step 4: Enter your 5-digit school ID for BOTH the School ID and password fields (same number for both fields). Do not use the letter “P”… just the number. Step 5: You are ready to start! For help in getting started, read the Overdrive FAQ or feel free to contact the library at nislibrary@nanjing-school.com for assistance. Note that you will be asked to create a separate Overdrive Account when you configure your app. This is different from your NIS account and you set this one up on your own. Click here for more information. 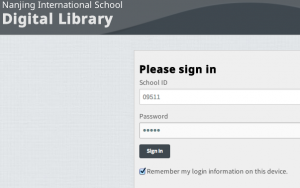 For students under 13 years of age, click on “Continue” at the bottom of the account creation page.